Abraham Araya earned his third career World Series of Poker event, almost six years after he won his last at Harrah’s. The World Series of Poker stop at Harrah’s New Orleans had a $104,000 prize pool and he took first place, winning $27,043. He was one of 208 participants who competed in the event, so winning the tournament was not an easy feat for Araya. 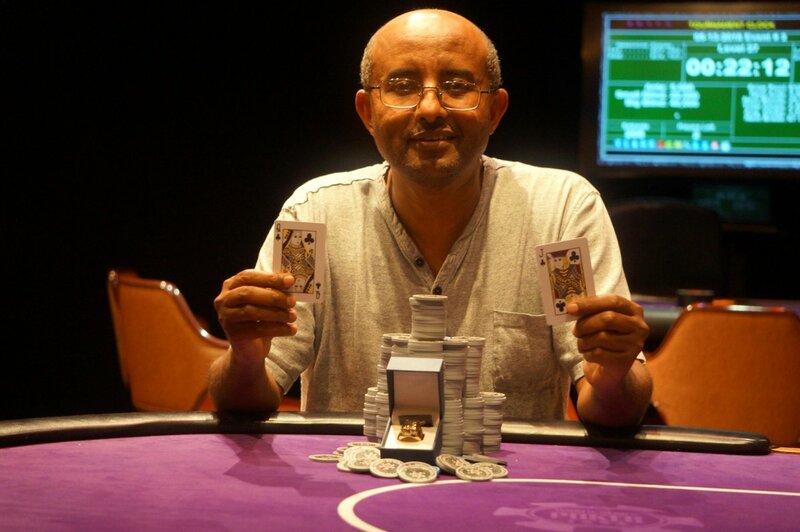 Araya, who is native of East Africa, was able to survive and secure a seat at the final table for the $580 No-Limit Hold ‘em and beat the other finalists and claim the top prize. The first 21 players finished in the money, with Jeff Trudeau leading the final 17 players on Monday. However, Trudeau fell off into the 11th position before he could secure a seat at the final table. Nolan Burton, the third-place runner-up, took home a $12,061 cash award, while the last three players were awarded more than $10,000. For this title, Araya, who is based on Texas, went head-to-head with Bob Beck to take the WSOP ring, his third. This win has earned him a seat at the 2018 Global Casino Championship, which will take place this summer at the Harrah’s Cherokee Casino Resort in North Carolina. Before this win, the last time this Carrolton, Texas, resident won was the 2012 World Series of Poker Circuit main event, which was held in Durant, Okla. In that event, Araya claimed victory in the $1,600 WSOP main event, taking home the first-place prize of $270,380, as well as his first gold ring. This feat, however, did not come easy for Araya. He had to successfully navigate and beat a large pool that had more than 970 entries in the buy-in worth $1,600. This created a large prize pool of $1.4 million. He was holding lead in chips at the close of the second day, with the rest of the players remaining in play. On the final day of play, Araya had secured his place at the final table and with a lead in chips at the heads-up play. Araya sent his opponent, Daniel Lowery to the rail and into second place. His final hand was a pair of fives. This win not only gave Araya the win and first-place cash prize but also the 912 Cardplayer player of the year points, which put him into eighth place. As a result, he was tied with Brendon Rubie in the standings. A few months before this, he had also won the T.J Cloutier Poker Challenge, which earned him $83,659. This would make his total earnings, including the WSOP Circuit main event, total somewhere close to an impressive $350,000. This is arguably more than he would have ever hoped to earn in four years as an aircraft mechanic. Araya moved to the United States over two decades ago in pursuit of the American dream and a chance at a better life for his family. He worked as an airline flight mechanic at a company that maintained the aircrafts for NBA teams. Coincidentally, at the time that he won this title, he had been laid off. The slump in the economy caused his employer to file for bankruptcy, which effectively rendered him jobless. Needless to say, this win came at just the right time. 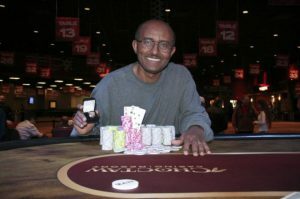 Araya had a wife and three children to support at the time that he was laid off, so he was more than overjoyed that he found success in playing poker.